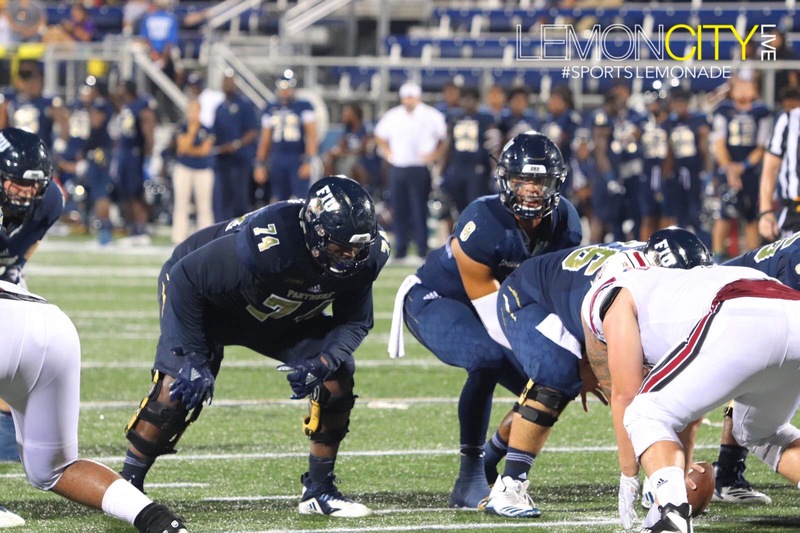 Miami, FL – If you remember last season’s home opener, then you remember FIU Football being demolished by the eventual National Champs (In my opinion), UCF, 61-17. 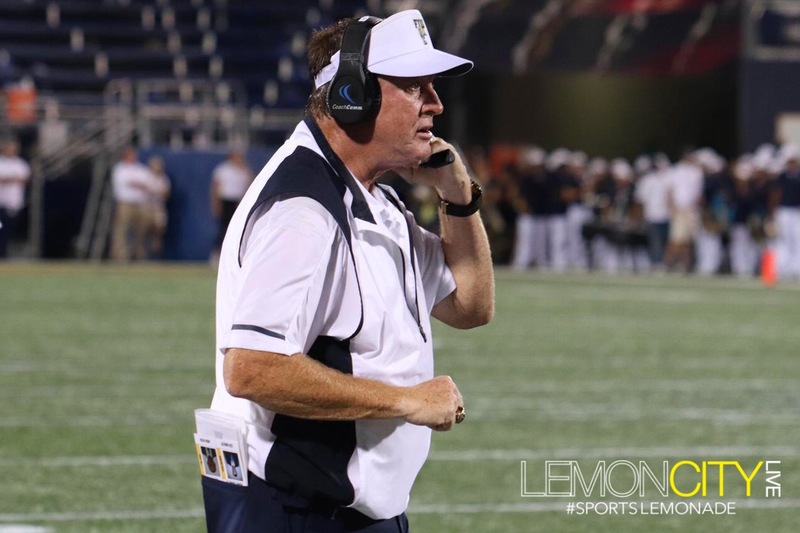 No one knew at the time what UCF would be, just like no one knew how FIU would bounce back from the loss, and finish off a record season. 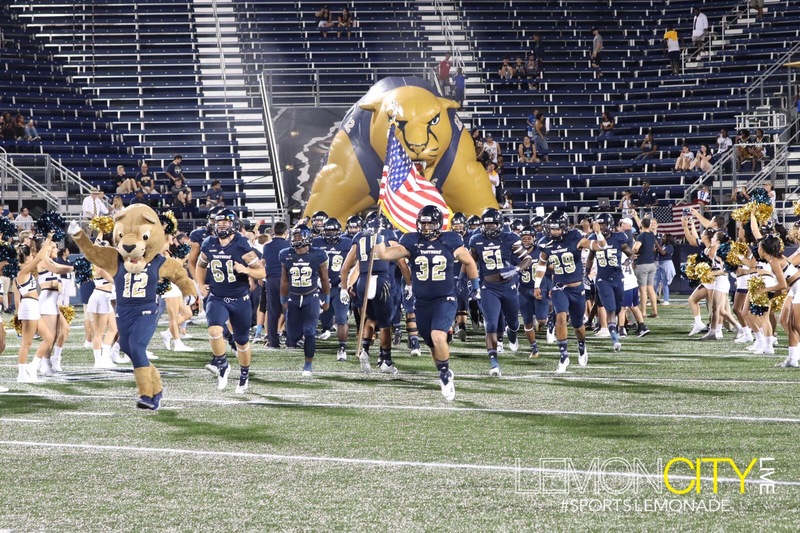 This season, FIU started by hosting Big Ten’s Indiana. They lost, but against a power-five conference school, they kept it at a respectable 38-28, with a new quarterback no less! 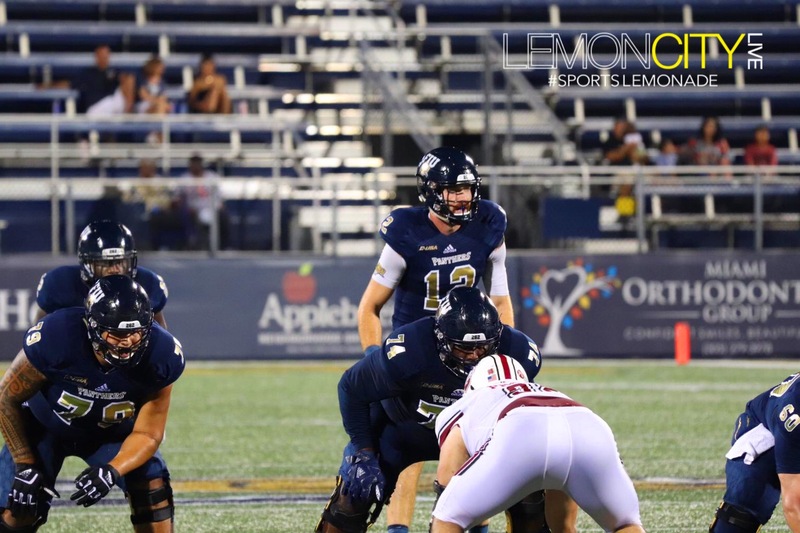 Next, they traveled to Old Dominion for their 1st conference game of the season. 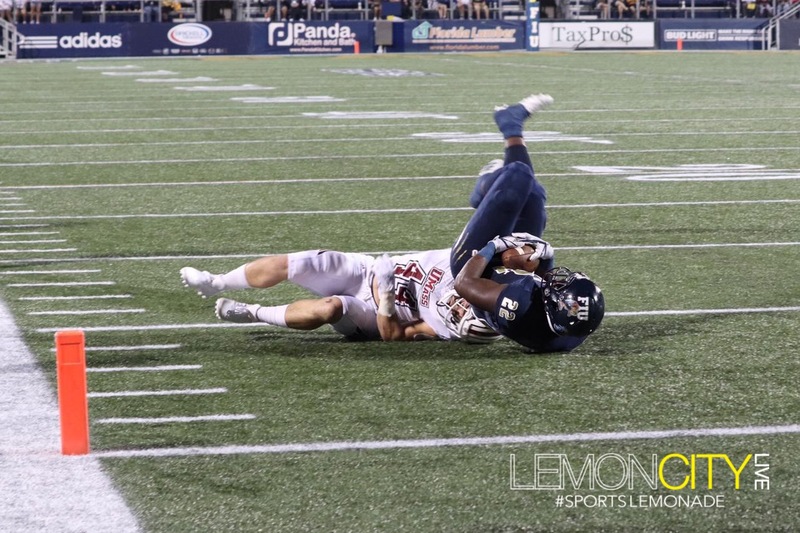 Missing star RB Anthony Jones and OL Mershawn Miller from their unfortunate incident, they went down early, but exorcised the demons that plagued them in week one, and executed a comeback win, scoring 21 unanswered points! 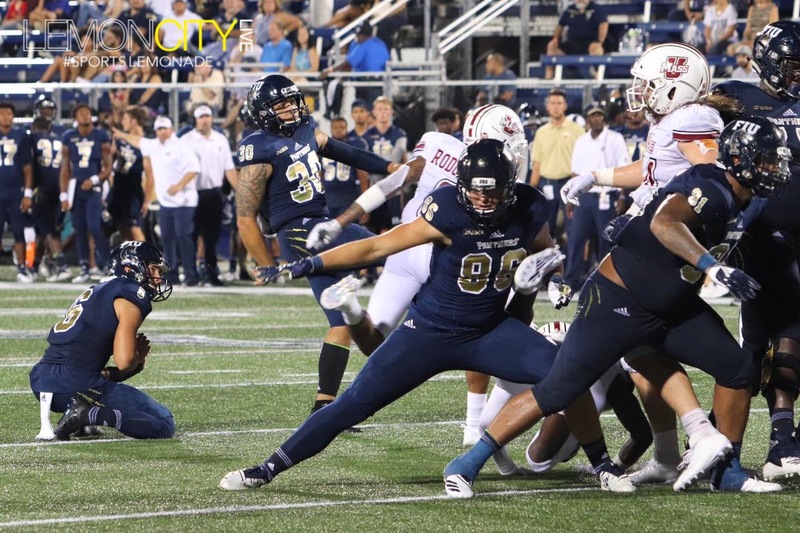 This weekend, the Panthers hosted the UMass Minutemen, and they picked up right where they left off against the Monarchs. 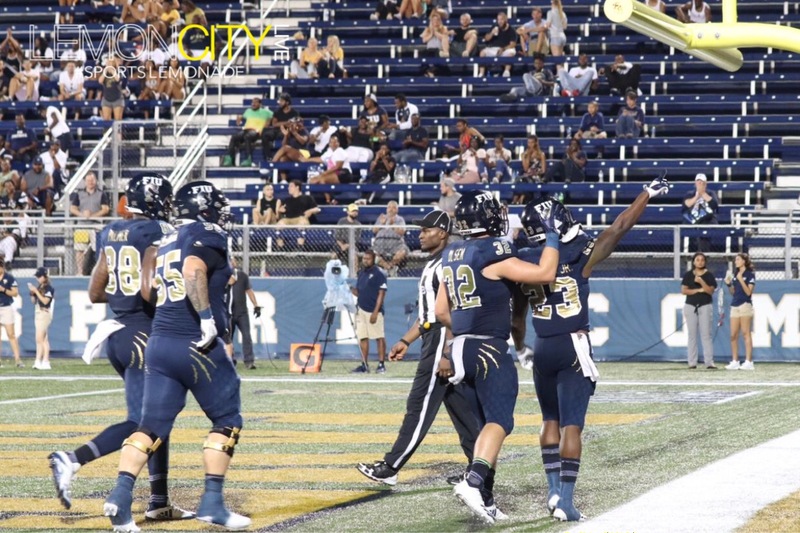 FIU kicked off the party a little late, such is Miami, due to a weather delay. 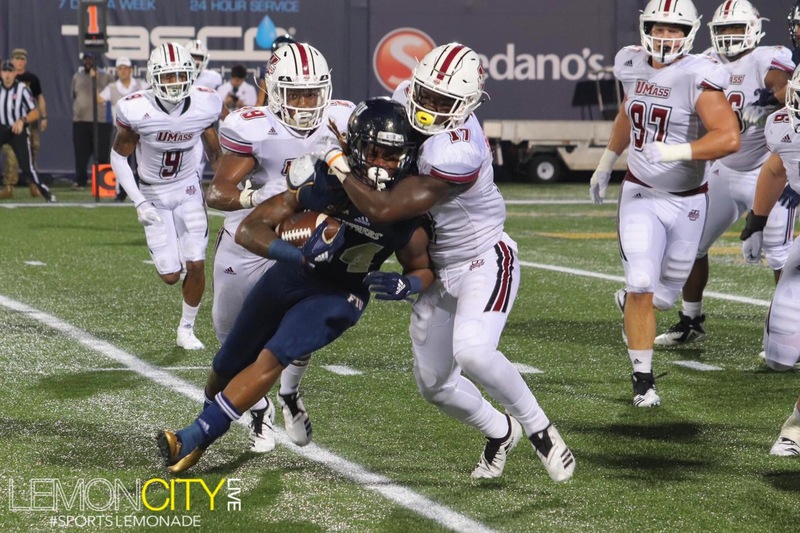 However, they finally got the party started in the 1st two minutes of the game by going seven plays for 59 yards, capped off by a Shawndarrius Phillips four-yard touchdown. #22, Showtime Deuce, showed out! 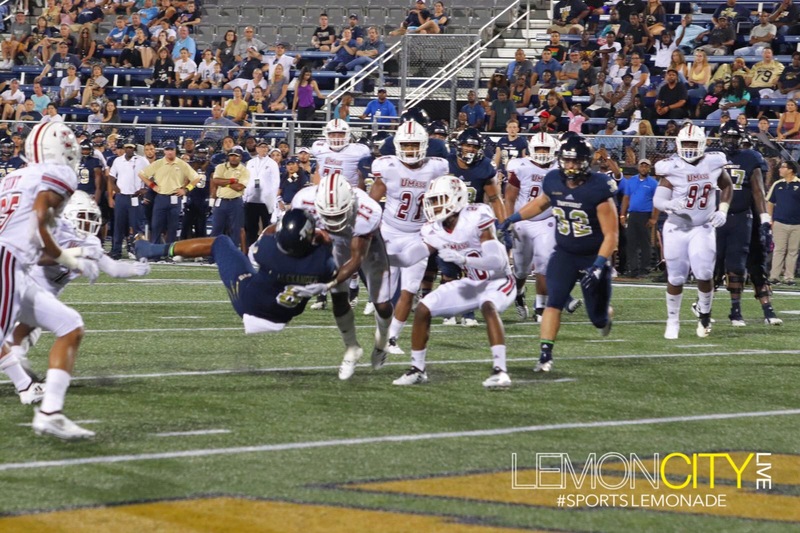 He had two touchdowns on 16 carries and 117 yards. 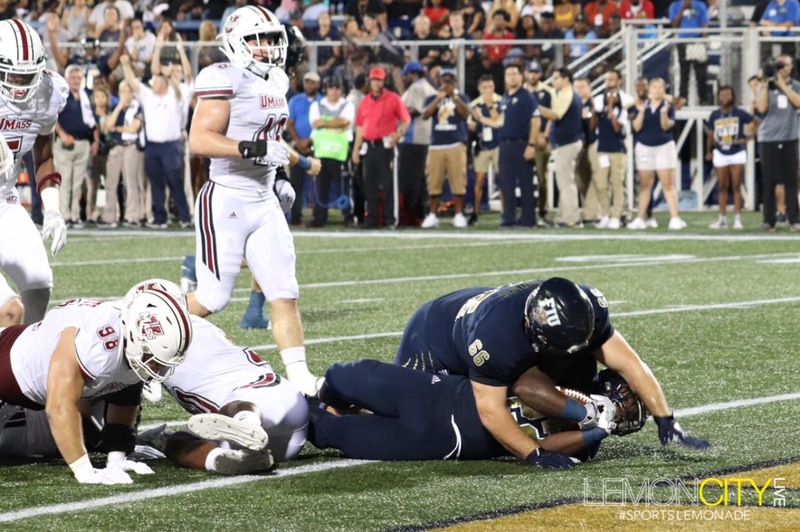 The Panthers next touchdown came a little over five minutes later, on a similar drive, when the Panthers went seven plays for 62 yards, wrapped up with a Napoleon Maxwell three-yard touchdown. 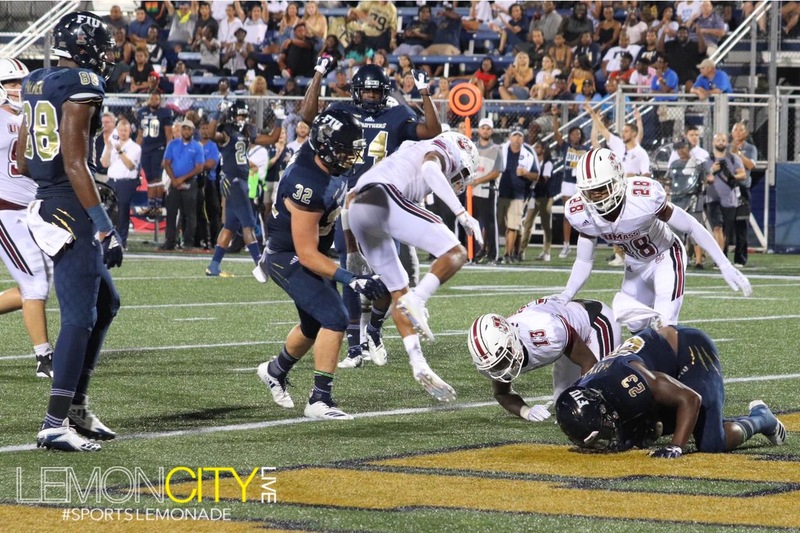 #23, Mad Max, also went nuts, putting up two touchdowns on 18 carries and 104 yards! The duo garnered national attention, earning a shared #4 spot on ESPN’s Greg McElroy’s Week 3 Weapons Top 5 Running Backs. 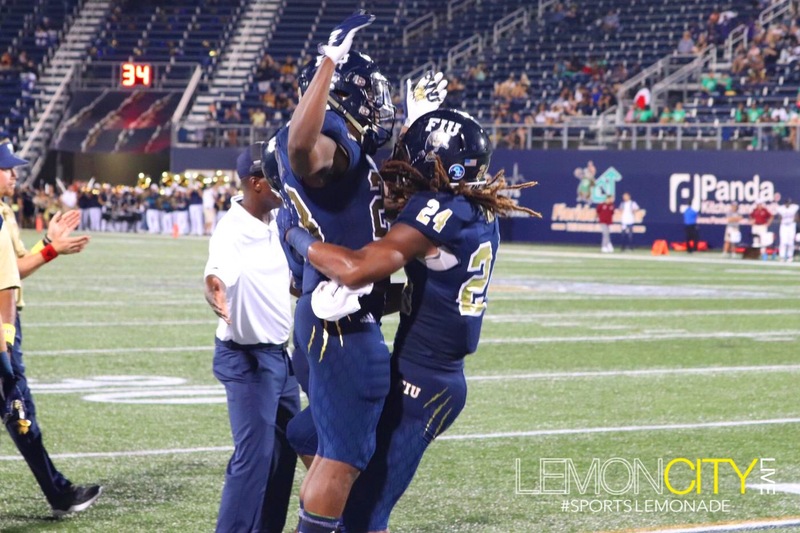 The 1st quarter ended with FIU leading 14-7. They didn’t start pulling away until the end of the 1st half. 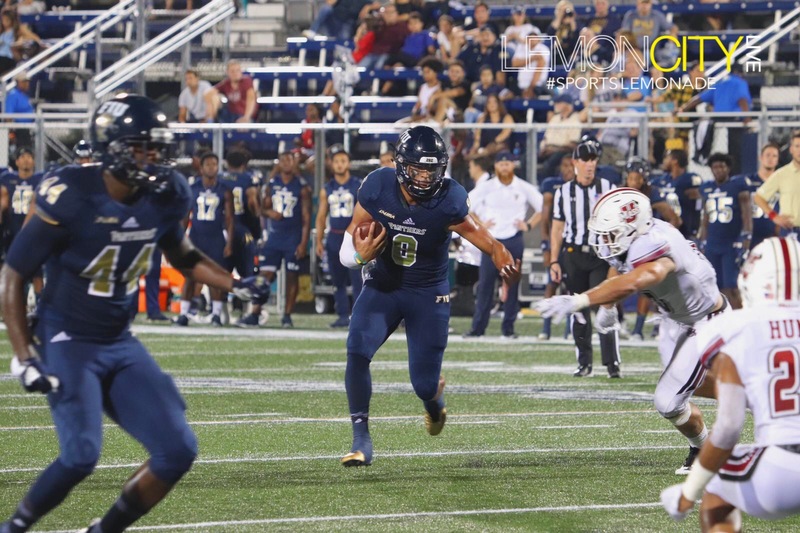 With the Panthers leading 21-10, and less than five minutes remaining, they proceeded to score 21 unanswered points to close out the half. There seems to be a theme here when the Panthers go on their runs. 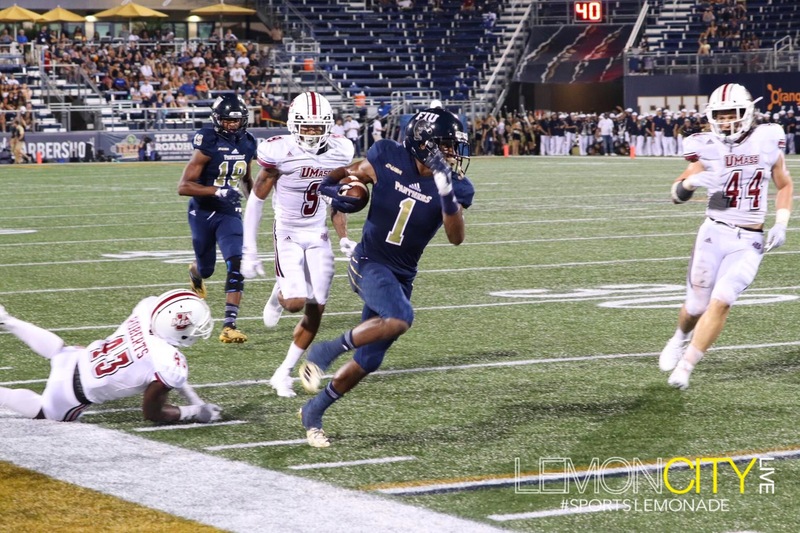 The biggest play of that drive came when QB James Morgan went downfield, connecting with #1, Maurice Alexander, on a 38 yard touchdown pass. 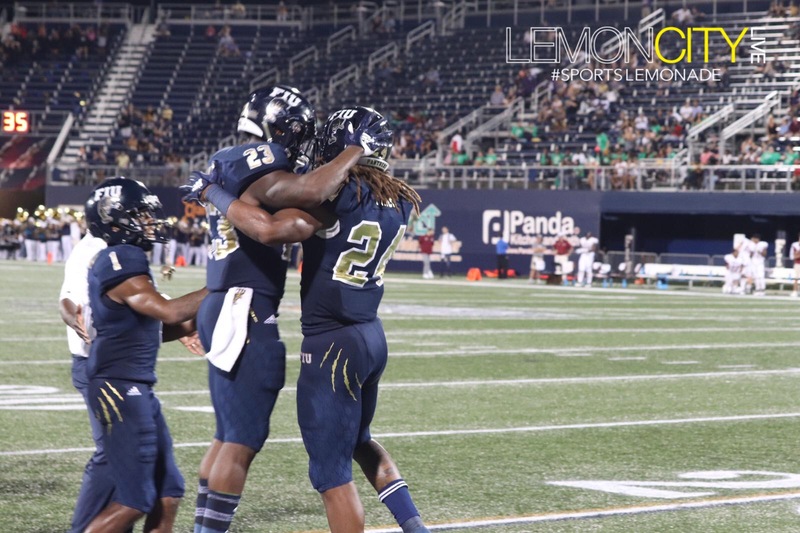 FIU scored six touchdowns in the 1st half. 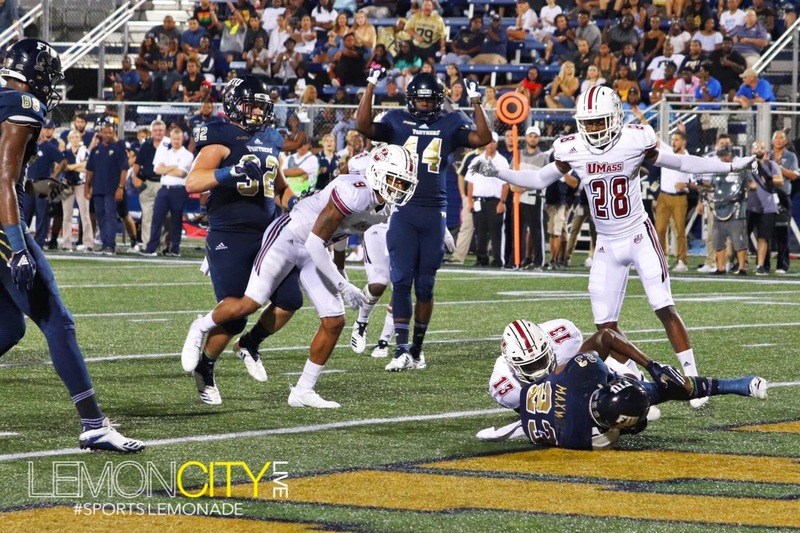 The 42 points scored tied a school record set against UTEP on Oct. 10, 2015. The 2nd half was a bit more tame, that is, if your definition of tame is scoring three touchdowns. 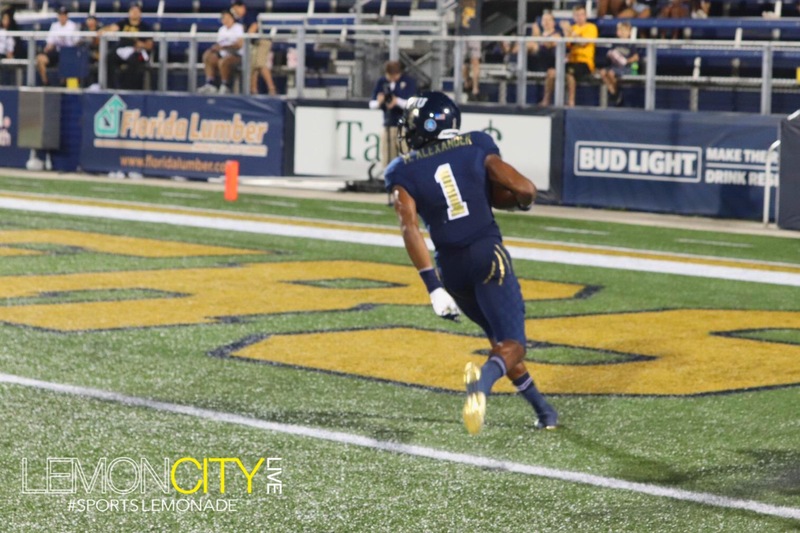 Maurice Alexander was another reason for the Panthers dominating performance. Aside from his 38-yard TD, Hard Time, returned a 69-yard punt to the house! We’re looking forward to seeing more of his big play ability. Speaking of big plays, I’d be remiss if I didn’t mention the defense. 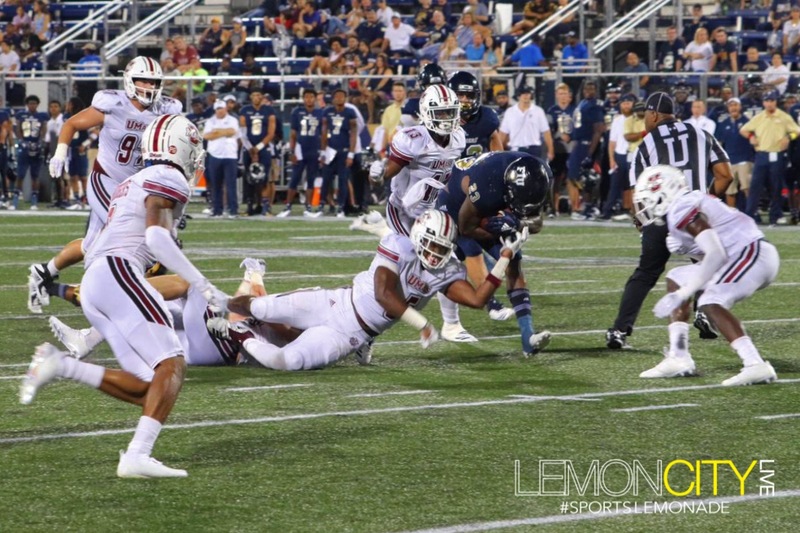 They recorded one recovered fumble, by Isaiah Brown, two interceptions, with one returned for a touchdown, shoutout to Rocky Jacques-Louis, and six tackles for loss, three of which were sacks, two of which coming from #93, Teair Tart! 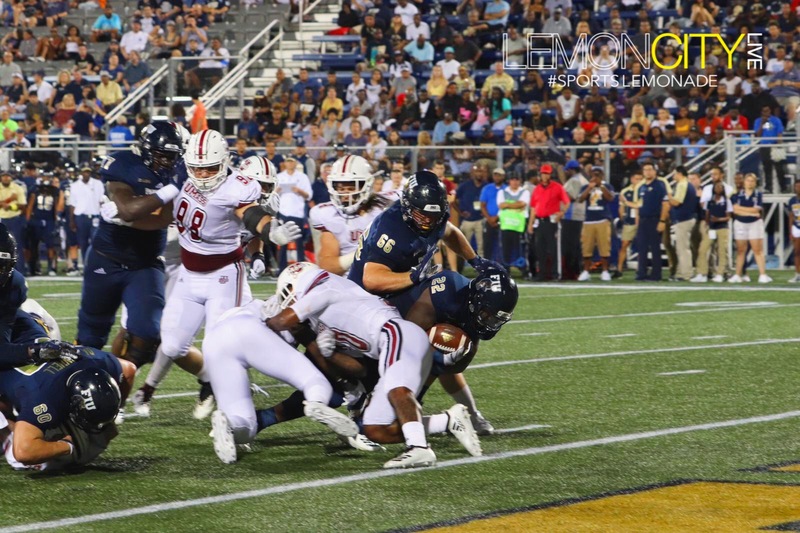 The game ended with another Panther W, defeating the Minutemen 63-24, which matches a school record for points scored, coincidentally, or maybe not, also against the UMass Minutemen. Across town, the #21 ranked Miami Hurricanes were also taking care of business, beating Toledo 49-24. This sets up the week-4 matchup between the Panthers and the Canes. The two programs haven’t met since 2007, only one year removed the notorious brawl that erupted in the Orange Bowl. The Panthers lost the 2007 matchup 9-23, and will be looking to catch the Canes sleeping this time around. Miami started the season ranked #8, but after a devastating loss to LSU in week-1 now find themselves at #21. 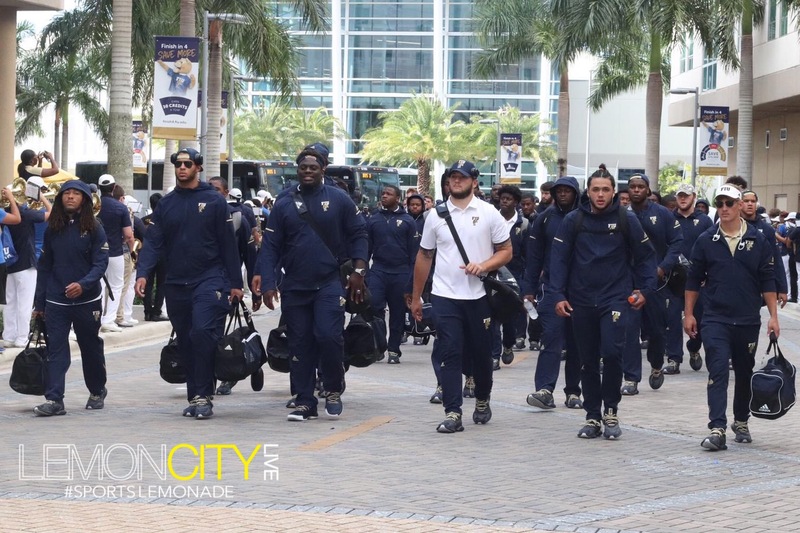 Kickoff is at 3:30 from Hard Rock Stadium.